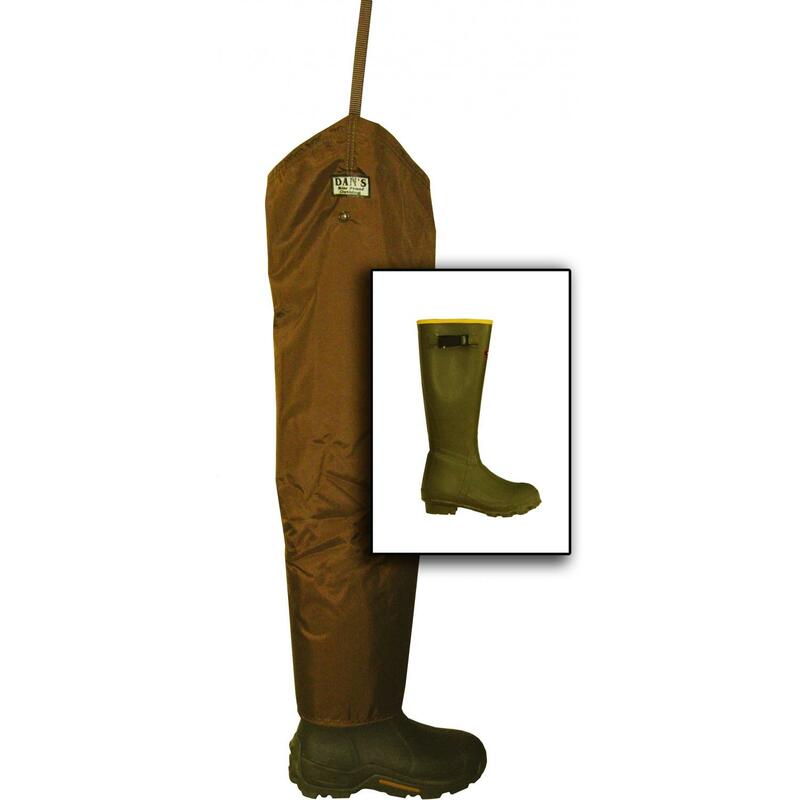 Dans Hunting Gear brings you their 420 Denier Chap with Non Insulated Lacrosse Boot Froglegs. They are tough, light weight, comfortable, briar proof, and water proof. Dans Froflegs are constructed using an outer layer of stout material that is lined with very repellant nylon to help any moisture that gets through the outer layer, plus they easily turn briars. The nylon goes all the way down to the lower ankle of the boot, providing the boots and your legs protection. They are carefully made, and then sewn and sealed to the boots of your choice. These chaps can be attached to your belt using the adjustable straps, or folded down and snapped at your knees using the snaps in the leggins and the boots.